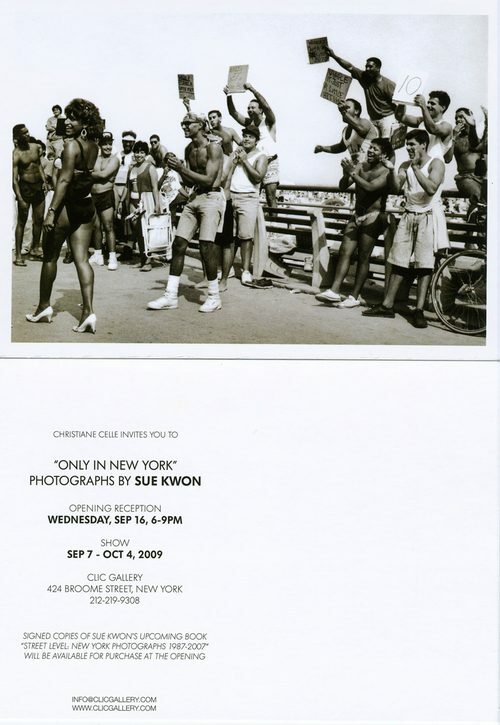 This Wednesday, at the Clic Gallery, from 6 – 9pm come check out “Only in New York”. Sue will be there signing copies of her upcoming book, “Street Level – New York Photographs 1987 – 2007”. 20 years of epicness like the photo above.